I cannot even do any justice to the process the website takes you through so will post pictures of what I’ve done with the link on how to make it. In the past the recipes I’ve tried so far from the website are strawberry jam, blackberry jam and all of my family and friend’s favorite, apple butter. 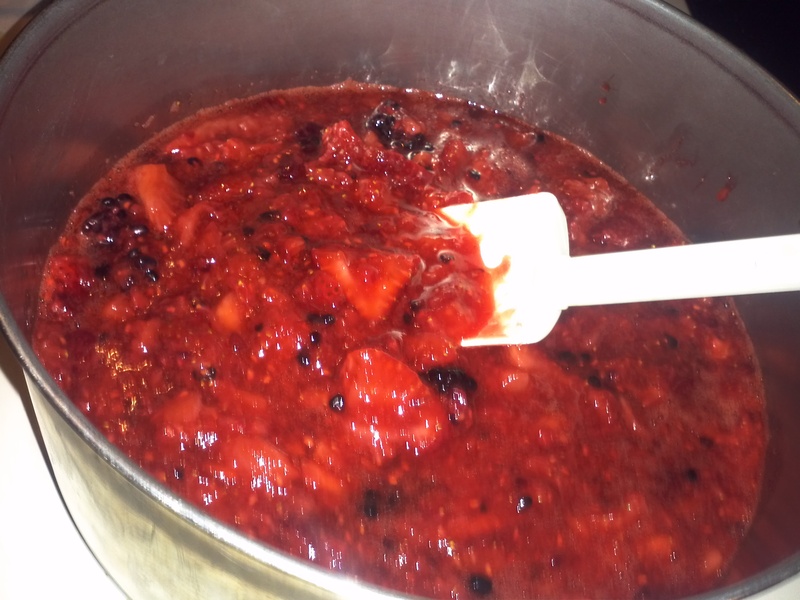 Tonight I attempted to make Triple Berry Jam. 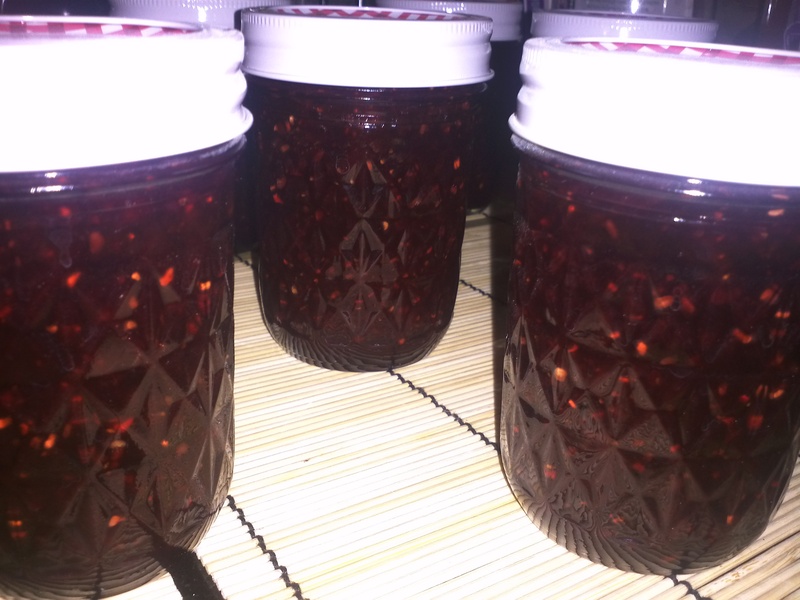 This recipe made 9 1/2 pint jars. Do not try to do more! Do the amount the website suggests or else it won’t turn out right. There’s a reason the website has the amount they do. I really like Triple Berry jam!! I’ve never had it before and it was delicious! !